15th Century House has just been renovated for luxury and relaxation. This Maltese gem is situated minutes away from square (PJAZZA) and sea. 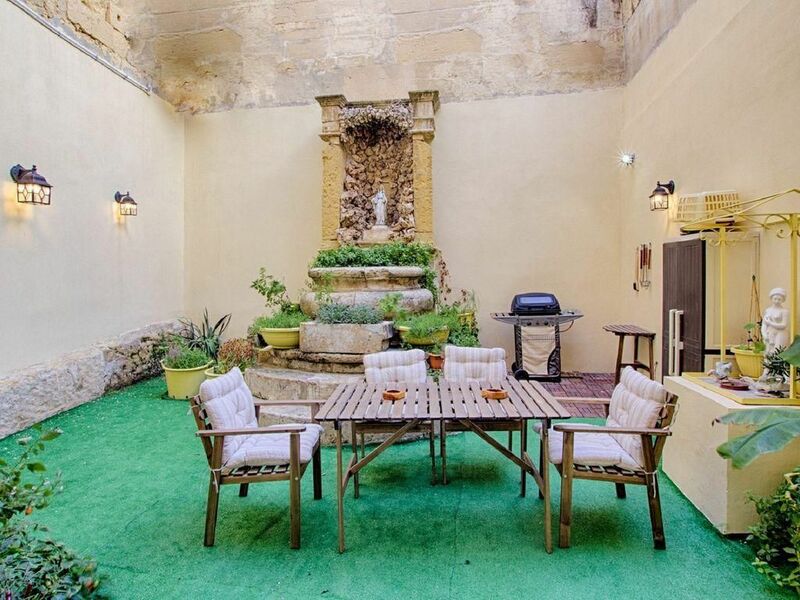 Luxury and RelaxationTucked away in one of the Victoriosa's alleys you will find this Maltese gem which is situated minutes away from the square (PJAZZA) where you can enjoy all Maltese customs and Birgu Waterfront for bars and restaurants. There are also three main must see historical Museums near by (the Malta at war Museum the Malta Maritime Museum and Inquisitor's Palace).Set on a quiet road is this 15th Century Character house, entrance to a welcoming open plan, sitting room with a flat screen television, sofa bed for extra guests. A fully equipped kitchen with all appliances, microwave oven, toaster, electric kettle, dishwasher for comfort, washing machine and even tumble dryer.Two large double bedrooms both with en-suite shower, toilet and sink, all necessary towels, facecloths, bed sheets, hairdryer. also we provide air-conditioners in both of our bedrooms. Going into the back garden you will soon realize that it is the place for some quiet time and relaxation. Because the weather is always great in Malta you can enjoy some sunbathing in the morning a nice nap in the afternoon and a Bar Be-Que in the evening with some relaxing music a glass of wine or maybe two.This is the Life "C'est La Vie".